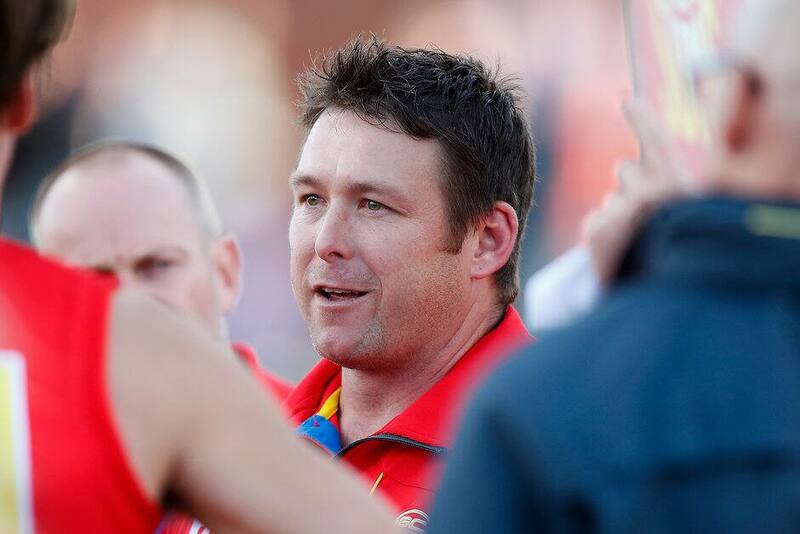 It’s no secret Gold Coast coach Stuart Dew has placed a big emphasis on building a family culture at the SUNS since he joined the club a year ago. It’s one of the hallmarks Dew has built his coaching philosophy around, influenced heavily from his time at Sydney as an assistant coach and Port Adelaide and Hawthorn as a player. Those clubs all experienced periods of success while Dew was in the fold, and he says there’s one big factor they all had in common. “I guess the power of a playing group that has really good ownership,” Dew told SEN’s Whateley program hosted by Gerard Whateley. “I think that’s one thing, particularly in the second half of the year, we worked on - making sure that the players understand their responsibilities. Dew says that burden of ownership and responsibility is something the players should look to embrace if the SUNS are to establish the roots of a winning culture. “They’ve certainly got a role to play and it needs to be more active I think than what it was early in the year,” Dew said. “They’re not looking at the coach and the list manager and the GM (general manager) to say ‘ok well fix it’. “Some guys really started to respond to that and in time I think we will see the benefits. In previous interviews Dew has said there is a core group of players at the SUNS who are invested in the club and dedicated to seeing it finding success. After eight years in the competition, the SUNS haven’t finished higher than 12th, but Dew plans to reverse that trend in the years to come. “We’re planning to be successful now in that we want to lay a foundation that at least if there’s ups and downs we don’t drop so far,” Dew said. “If you split the ladder into blocks of sixes, obviously we’re entrenched in that bottom six and we want to try and push ourselves into that middle six.